As a young man, the historian Polybius was an active politician in the Achaean Confederacy of the second century B.C., and later, during his detention at Rome, became a close friend of some leading Roman families. His History is our most important source for the momentous half-century during which the Romans weathered the war with Hannibal and became masters of the Mediterranean world. 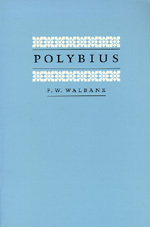 F. W. Walbank describes the historical traditions within which Polybius wrote as well as his concept of history. F. W. Walbank is Emeritus Professor of Ancient History and Classical Archaeology, University of Liverpool, and author of The Historical Commentary on Polybius.